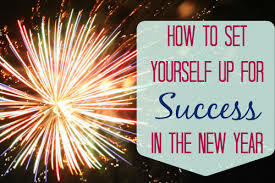 Have you ever questioned why we set resolutions for the new year? It’s a tradition we’ve all been encouraged to participate in, despite the fact that most people’s resolutions go by the wayside within a matter of weeks. And don’t forget the emotional roller coaster that accompanies turning the page from one year to the next. We’re goal-setting creatures (most of us) and there’s great inspiration and satisfaction in accomplishing goals that improve our health, our finances, our relationships, our overall well being. At the same time, there can also be frustration, disappointment and self-judgment coloring our less successful efforts. So in the interest of acknowledging and nurturing the best in ourselves, it’s worth taking a look at the energy that powers our resolutions. Most of us have been taught to assume we’ll be happy once we’ve accomplished a specific goal (or two). But is it possible for us to be happy right now, as we are, within the circumstances of our daily lives? Everything we do is influenced in varying degrees by three questions: how do we feel about ourselves? How much do we resist or welcome events in our lives? And thirdly, do we believe that happiness exists independently, in and of itself, or as a consequence of becoming, doing or achieving? The secret to having not just a year of success but a lifetime of success lies in how we answer those questions. If we practice seeing ourselves from a positive perspective, acknowledging our strengths, our goodness, our loves, our pleasures, in whatever form they occur, then the gratitude that’s inherent within us causes a powerful positive energy to propel us forward. If we choose to accept what happens to us, not because it’s what we want but because we choose to learn and grow from it, that energy is hugely amplified. And if we’re willing to discover that happiness is not what we do but what we are, the quality of the energy that moves through, within and around us will attract inspiration, miracles and a recognition of the Life Force that is always supporting us.